Post-hepatectomy liver regeneration is of great interest to liver surgeons, and understanding the process of regeneration could contribute to increasing the safety of hepatectomies and improving prognoses. 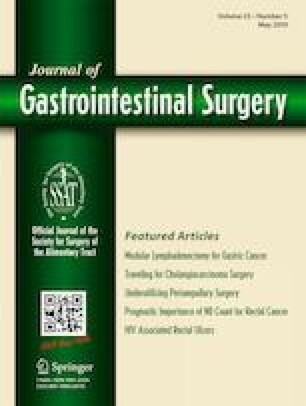 Five hundred thirty-eight patients who underwent hepatectomy were retrospectively analyzed. Postoperative outcomes were evaluated, with a focus on the effects of portal vein resection and resected liver volume on remnant liver regeneration in patients with liver tumors. Remnant liver volumes (RLVs) and laboratory data were measured postoperatively using multidetector computed tomography on day 7 and months 1, 2, 5, 12, and 24 after the operation. Liver regeneration speed peaked at 1 week postoperatively and gradually decreased. Regeneration with large resections was longer than that with small resections, with the remnant liver regeneration rate being significantly lower in the former at all time points. Remnant liver regeneration plateaued around 5 months postoperatively, when regeneration is almost complete. Up to 1 month postoperatively, laboratory data were significantly worse when more portal veins was resected. After 2 months postoperatively, these data recovered to near normal levels. The speed and rate of remnant liver regeneration primarily showed a strong correlation with the number of resected portal veins and the amount of removed liver parenchyma. The larger the resection ratio, the longer it took the liver to regenerate. We confirmed that recovery of the liver’s functional aspects accompanies recovery of the RLV. YI conceived the study and design, was involved in patient care, and drafted the manuscript. KF, MI, SK, AT, HH, WO, YT, SM, MY, AA, KK, TS, MA, SF, FH, YN, KH, and KU were involved in the creation of the study concept and design, patient care, and drafting of the manuscript. All authors have read and approved the final version of the manuscript. This work was supported by the Mitsui Life Social Welfare Foundation.